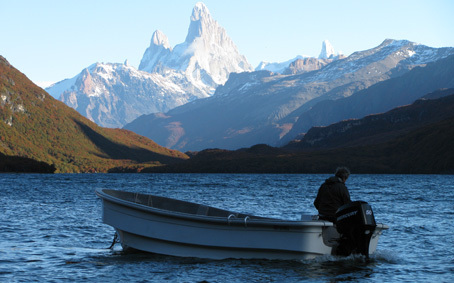 In the heart of the Southern Patagonian Andes, at the foot of Fitz Roy Mountain, lies El Chaltén, a small touristic town founded on the North extreme of Los Glaciares National Park. 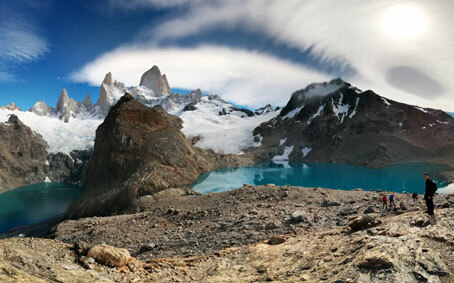 Behind the colossal granite walls dominating the view features the famous "Campo de Hielo Patagonico Sur', the most important continental ice mass of our planet after Antarctica. 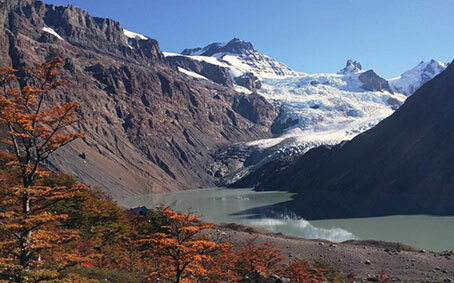 Glaciers descend from these eternal Ice Fields, feeding the great lakes of this area. 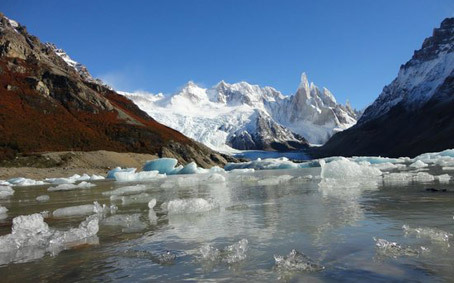 One of them is the famous Perito Moreno Glacier in the extreme South of Los Glaciares National Park. 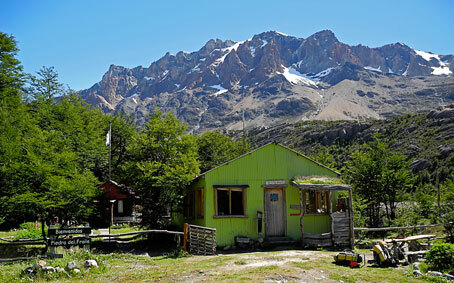 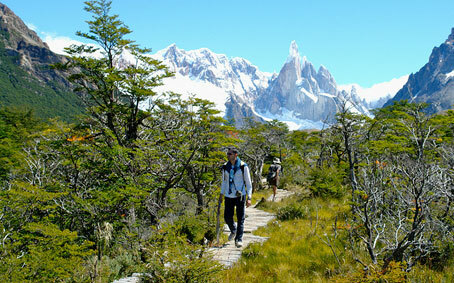 To get to this natural paradise, first you arrive to the nearest town of El Calafate; by plane or by bus. 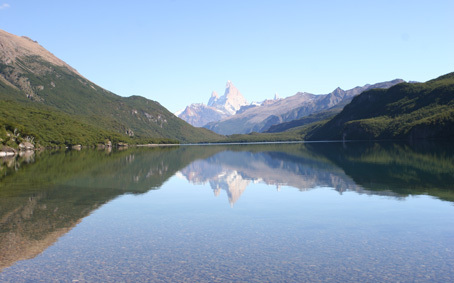 From there, you go 215 km across the Patagonian steppes on the recently paved roads along the shores of Lago Argentino and Lago Viedma. 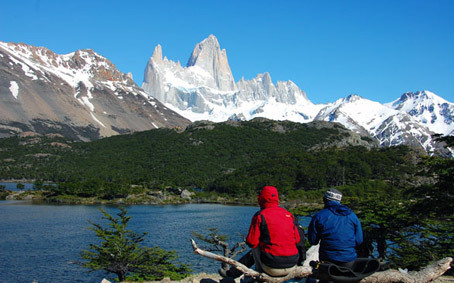 The region offers privileged sceneries for multiple alternatives on outdoor activities and mountaineering: El Chaltén is known as "Capital of Trekking in Argentina". 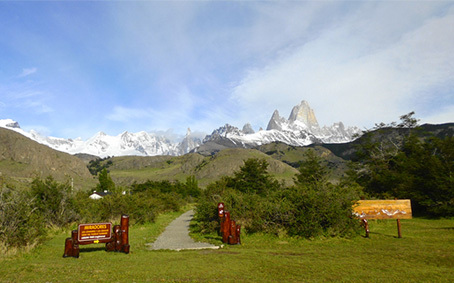 In the area it is possible to do dozens of treks: from small walks reaching lookout points with a minimum grade of difficulty to expeditions of many days or even the climbs of great, vertical walls; best reserved for experienced climbers.